So we are big animal lovers in my household! We currently have three dogs, a cat, and (ummm) a snake. I feel like we may have a lil less stress in our house if we didn't have all these pets but the same thing could be said about the kids! These pets are our family and we do everything we can to take care of them. Recently (and not to gross you out or anything), the three dogs have teamed up and decided they would tute, fart, pass gas, or whatever you call it in your house. This has kind of gotten ridiculous as it is obviously not fun to have a house that smells like this on a daily basis and personally I have it pretty bad since I have two boys and a husband. 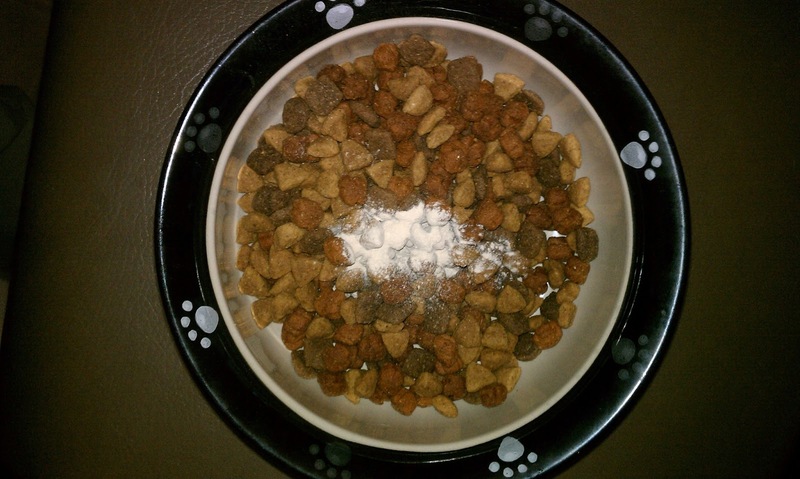 This is usually due to the types and quality food you feed your pets. But remember they are just like humans and some dogs can have sensitive stomachs or digestive issues. I just find it hard to believe that all three of mine started at the same time especially when they are all different ages. Its like they started a competition in my house to see who can be the most fowl. I've considered for the longest time just cooking up my own dog food and treats to save money and provide them with something more natural to eat. Then Probiotic Smart asked me to do a review of IntelliFlora which "contains a blend of four different bacterial strains including Enterococcus faecium, Lactobacillus acidophilus, Lactobacillus plantarum, and Lactobacillus rhamnosus." "IntelliFlora is a nutritional supplement designed for the dietary management of dogs and cats with diarrhea." I had never really put much thought into introducing probiotics to my pets even though we as humans take them to help aid in our digestion. Capone, my oldest pup has always had severe allergies and reactions to different foods which do not sit well with him. And in fact the same weekend the IntelliFlora came we had a major mishap with all the dogs getting sick and having terrible diarrhea. I do no't even want to start telling you how bad it was in this house OR how many bathes we had to give them daily because of it. What I do want to tell you is that almost instantly we noticed a change once we added the IntelliFlora to their foods. 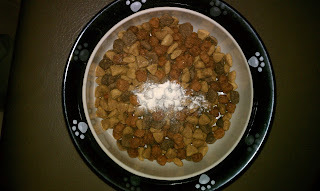 The two younger dogs eat like we never feed them inhaling their food before the bowl is even set down so they didn't notice a difference with the powder added. Capone was as usual my picky one and it took him a few meals to get used to it but now it is a regular part of dinner for all three of them. Recommendation: Although I hate to purchase anything in addition to their regular food I thought this was a great price and the website offers you additional discounts for buying in bulk as well. I would recommend this food to anyone with pets especially pets with "special" dietary needs. The fact that eveything is made in the US and products come with a 100% guarantee also makes the decision to give it a try even sweeter. What a GREAT Blog! (Found you on Twitter). Love the review, hope to read even more from you! I really love IntelliFlora. It has been great for our cat and two dogs. I thought about making all my own dog food at one point too, but you just never know if you are getting enough of the nutrients they need into the food. IntelliFlora has been wonderful for all our pets! I have to get my hands on this stuff! My poor puppy really truly needs it. I'm so glad that animals can now get treatment for more things than worms.